Ahead of our John D Wilson exhibition on Saturday 11th August, which John will be attending in person, we snatched him away from his canvas for long enough to ask him some questions. It turned out that the master of reverse-perspective art is as excited for August’s show as we are. He still has a memento from those early years; John has kept the same easel that he received for Christmas when he was just 12 years old. After studying part-time at Harrogate Art School, John opened a shop selling art materials and paintings in the 70s. While he painted in his spare time, family took first priority. Then, 25 years later, he began exhibiting in local galleries. He wasn’t the only one who enjoyed art in their childhood, however, and it led to the invention of the stick figures that would become a motif in his future work. His inspiration comes from other sources, too. 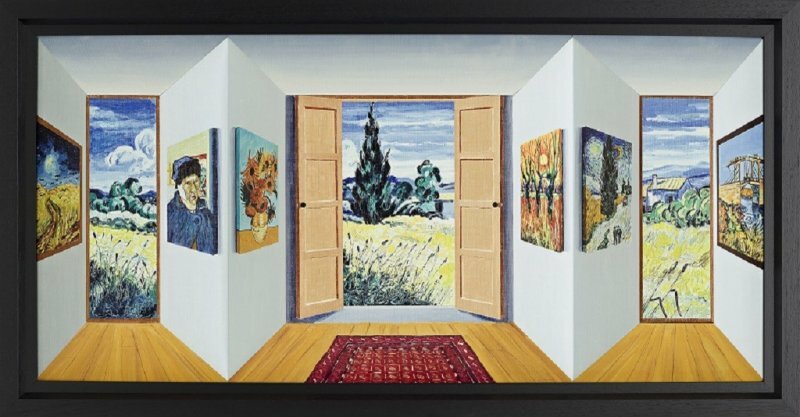 His paintings pay homage to greats such as Van Gogh, Magritte, Lichenstein and Banksy. Often these works will be in an actual gallery setting itself within the scene, hanging on the wall. “Part of the fun of my work is people recognising the mini painting that may be by one of their favourite artists,” he says. This unique style has made him a favourite in the contemporary art world himself, with many collectors and admirers of his work across the globe. And there’s an extra dimension to his work -literally - with his use of the 3D canvas. 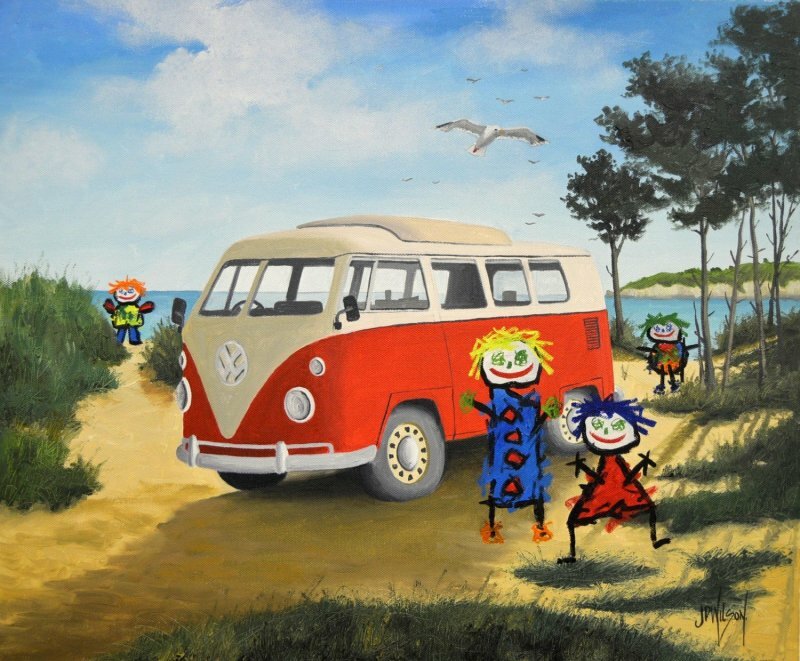 “It adds another dimension to a painting and makes people want to look again,” John says of his creative 3D canvases. The way the perspective changes depending on where you are in the room certainly is eye-catching. But to create such work is a time-consuming process, says John. The hard work certainly pays off, and the result is always a talking point among observers. It’s one of the many reasons Westover Gallery are so excited to have him in attendance at the upcoming champagne reception. Exclusive Original paintings and rare Limited Editions are available for purchase at the gallery, with John there to discuss his process with buyers and the public. And all work purchased on the day can be personally dedicated by Wilson himself. 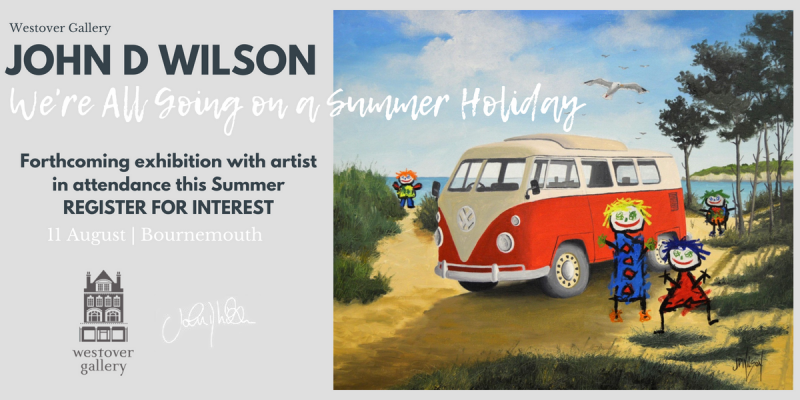 “It’s the best part of my job, meeting collectors and potential buyers and talking about my art,” says Wilson on the upcoming show on 11th August at Westover Gallery, Bournemouth. Join John D Wilson on Saturday 11th August, 5pm-7pm, at Westover Gallery, Bournemouth. Register your interest here.